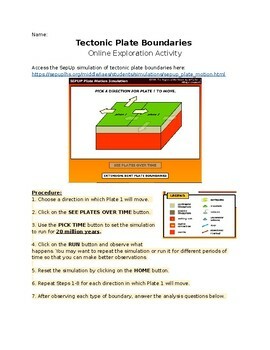 Students use this activity to observe the movement of tectonic plates at the different boundaries. The simulation is free from the University of California and is available online. The simulation uses Flash. 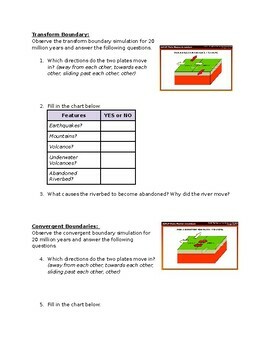 This guide is to help students recognize the events that occur because of the different plate boundaries.